Warsaw, 1866. 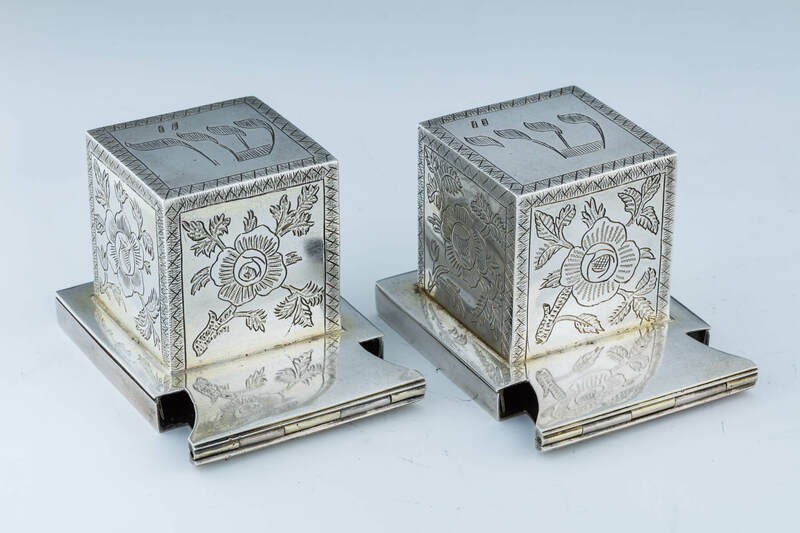 Engraved on both tops with Hebrew letters indicating “For Head” and “For Hand”. The sides engraved with floral and other organic designs. 3” wide.